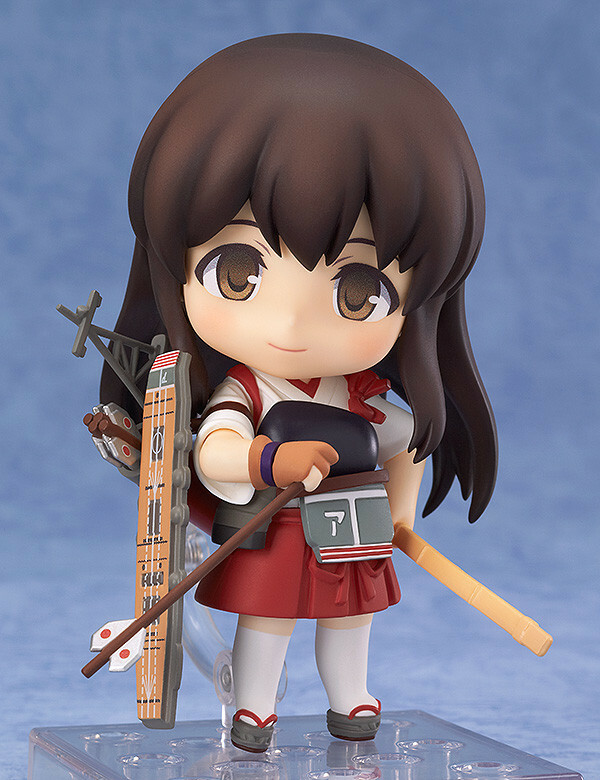 1st Carrier Divison Akagi, heading out! 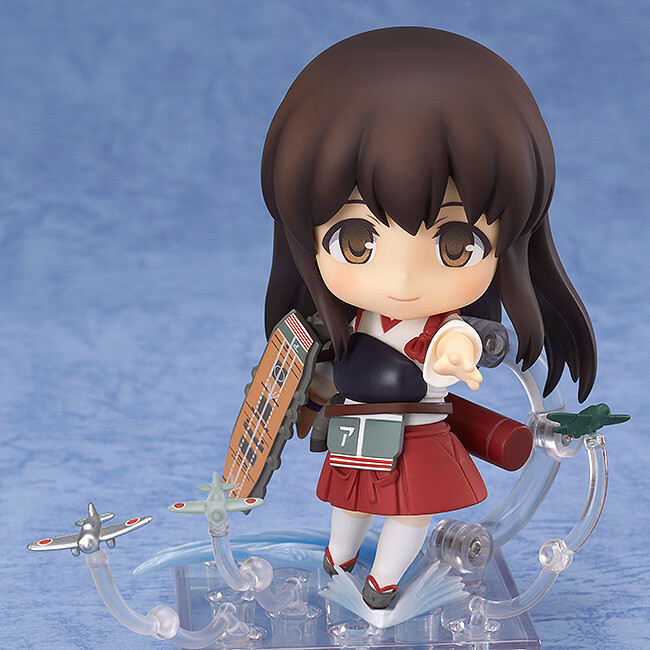 From 'Kantai Collection -KanColle-' comes a rerelease of the aircraft carrier, Nendoroid Akagi! 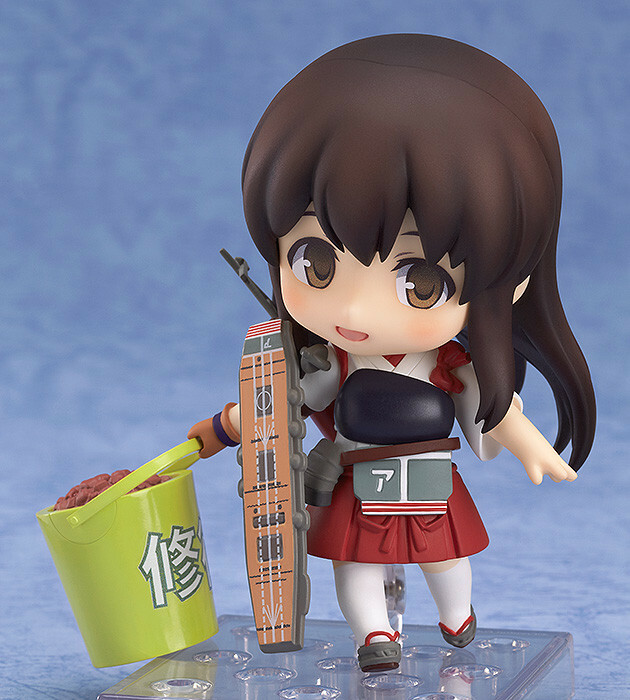 The ship deck board, radar and mast she carries with her are all included to display by her side. 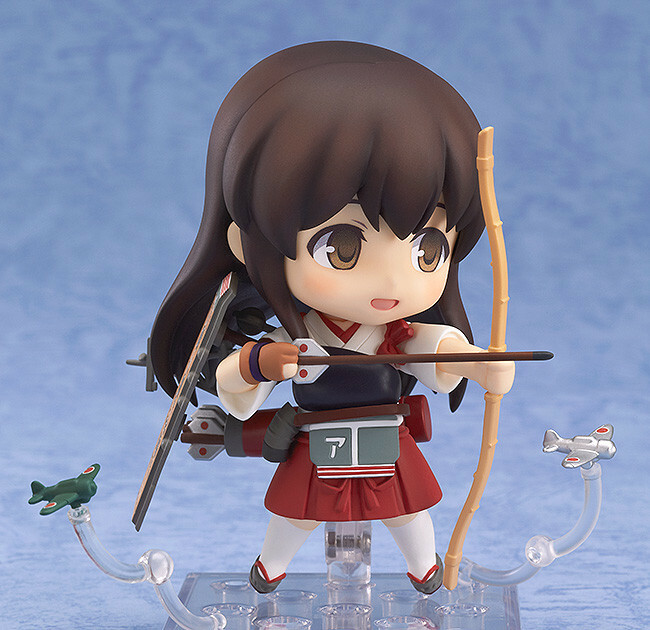 Three aeroplanes are included to display around her to represent her as an aircraft carrier, and special effect parts to display her soaring over water are also included to recreate her evasion animation! 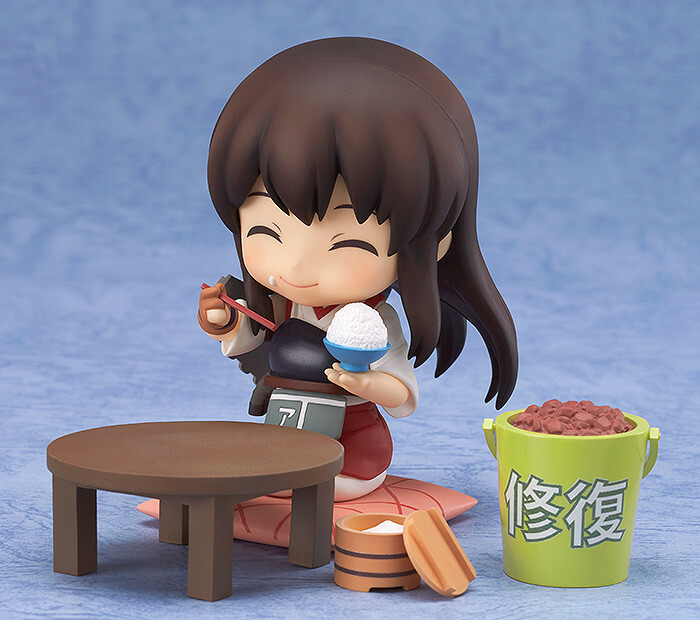 All these parts together allow Akagi to be displayed as the military flagship she is, however she also comes with a huge bowl of rice, a table set and a bucket filled with bauxite to display the more comical side of her as well - just pick the Akagi you prefer! Originally released in June 2014 with a rerelease in June 2015. Preorders will be open from 10th February 2015 (Tues) from 12:00JST until 11th March 2015 (Wed) at 21:00JST. *Please note that the GOOD SMILE ONLINE SHOP bonus sleeve is not included with orders of the rerelease.